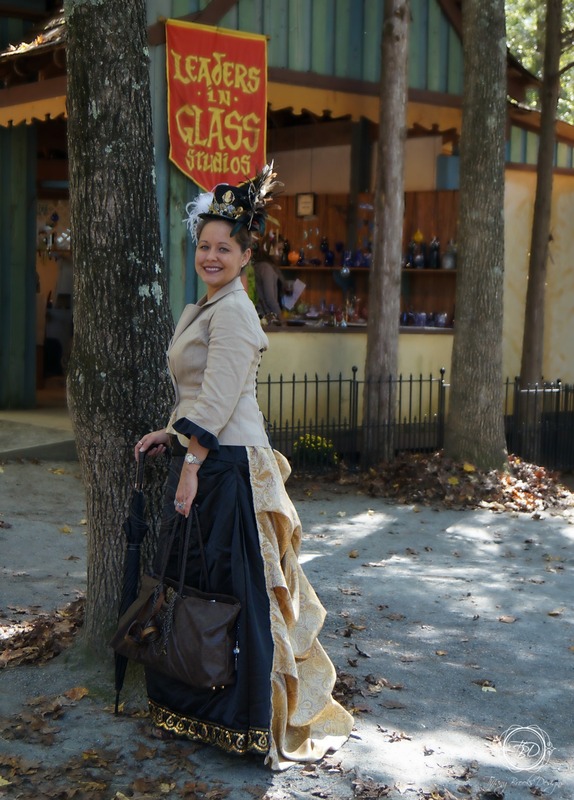 Utilizing as many supplies that I already had on hand was essential in keeping down the cost for my steampunk costume this year. I want to be able to create and entire costume with accessories for under $50.00 dollars. 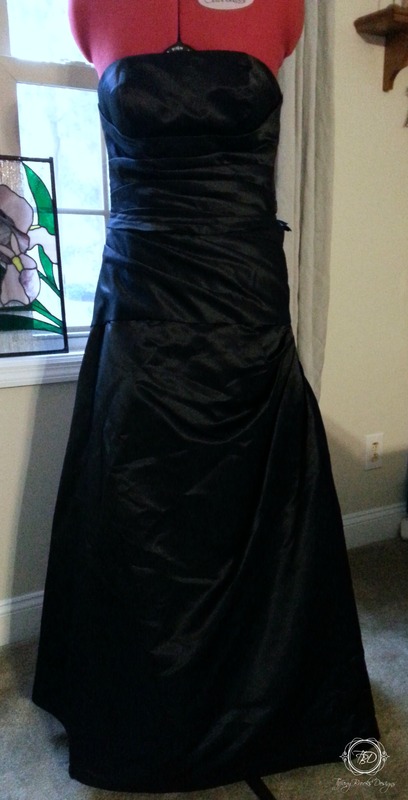 The main costume would be made by recycling this unused black formal dress. By cutting the dress at the waist line, I now have a corset top and a skirt. I added a zipper and a waistband to the skirt. The length was perfect so there was no need to hem as I never cut the bottom of the skirt. I then added a sequin lace trim to the bottom of the skirt. My skirt is now complete. The corset top took a little more time than the skirt as there were several things that had to be added. I first added a separating zipper to the back of the top. I then added a gathered brocade trim to the bottom of my top to add a little extra length. I added matching straps to ensure I would be comfortable in my costume throughout the entire festival. Finally, I added a sequin and beaded trim to the top of the corset to add just a little more height to the top. 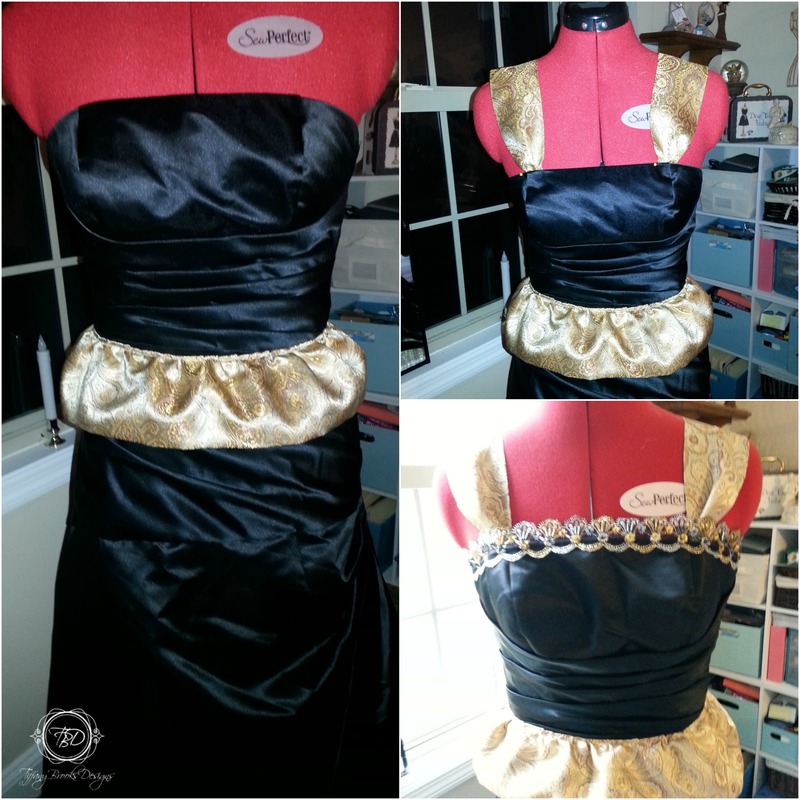 Now its time to make my bustle using the same brocade fabric I purchased for the corset top trim. Since the bustle is detachable from the skirt it will have it’s own waist band. This will make it easier to use this costume for other festivals. Now I am finished with my main steampunk costume but I need a jacket. So back to my closet for something else that can be recycled. As I had hoped, I found the perfect jacket that I haven’t worn in years. First I shortened the sleeves to 3/4 and added a pleated black polyester trim. Even with the shortened sleeves and black trim, the jacket was still a little too plain for the rest of my costume. By adding elastic bridal button tape down two seams on the back of the jacket, I was able to give the jacket a lace up corset look. Now this completes the jacket. 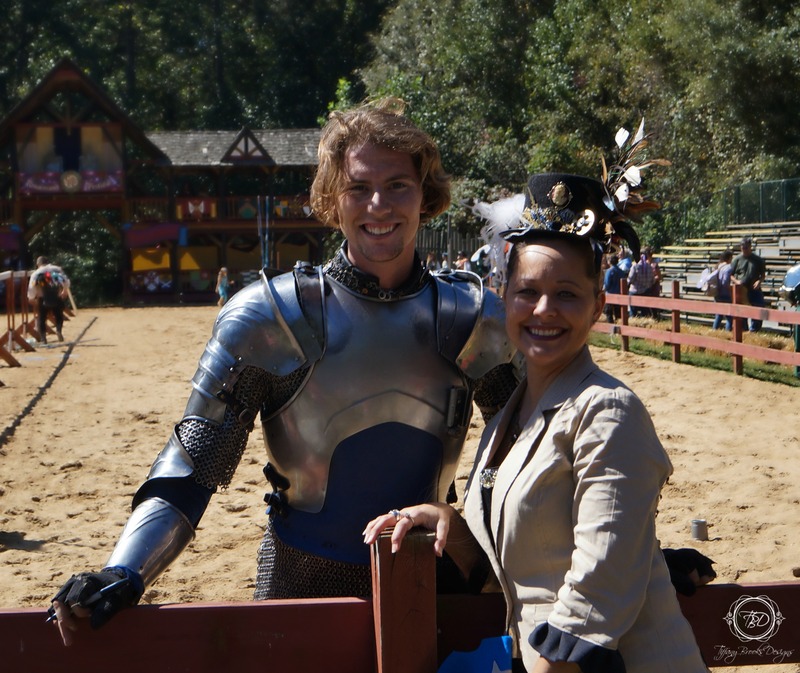 Now my costume is ready for opening day of The Annual Carolina Renaissance Festival. 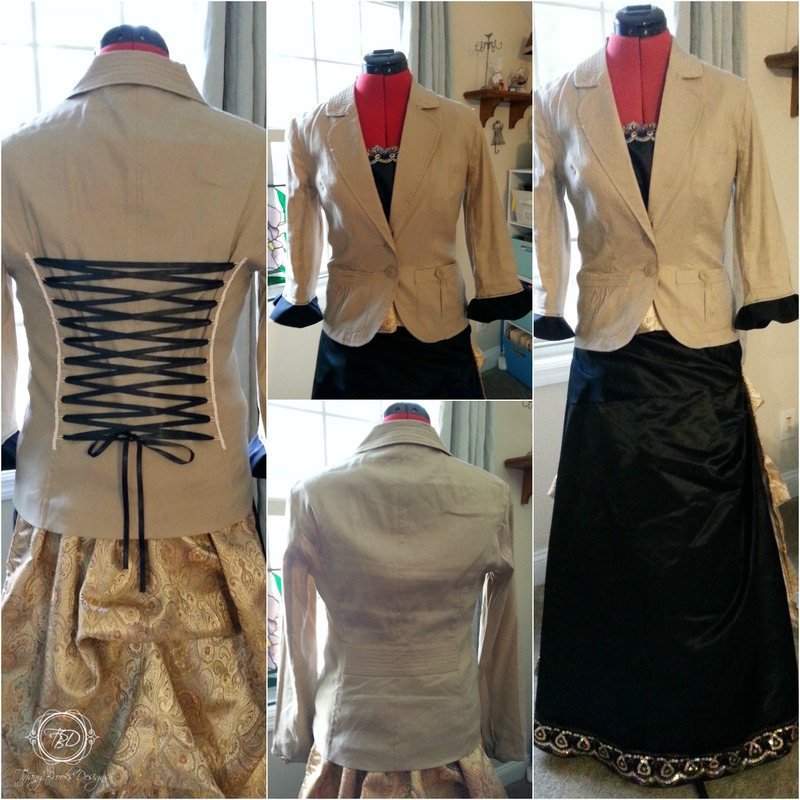 I was able to make this entire costume: corset top, skirt, jacket, bustle, for only $ 14.08. My accessories for my purse, hat, and necklace cost $28.74, keeping my costume and accessory total under my $50.00 budget. Being able to recycle the dress, purse, necklace, and utilized items I already had on hand I saved a lot of money. 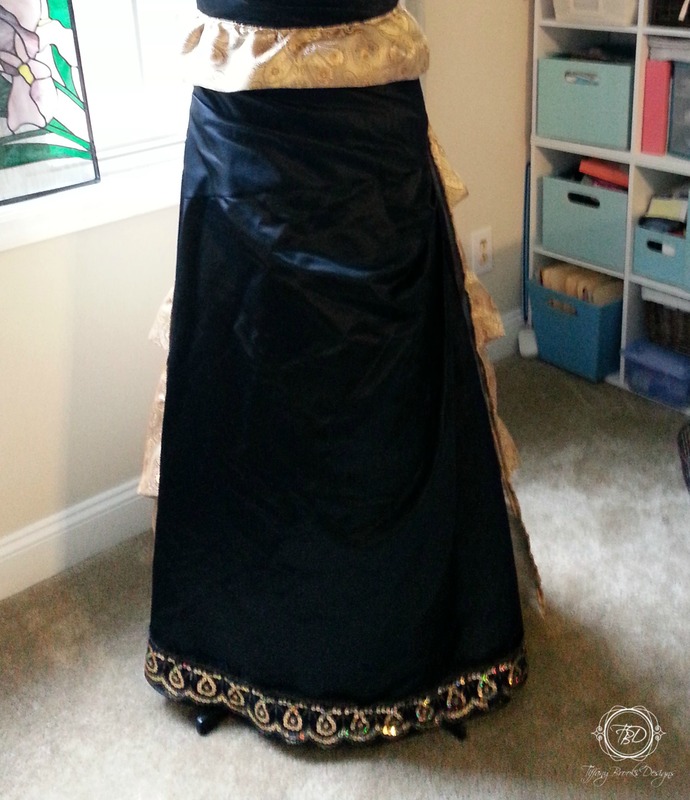 For a total of $42.82 I have a complete 3 piece Victorian steampunk costume with matching accessories. Check out my other blogs to learn how I made my hat and necklace. Um not to sound like an idiot but how exactly do you get the fabric to scrunch up like that in the back? So sorry for the delay in replying to your question Jenn. 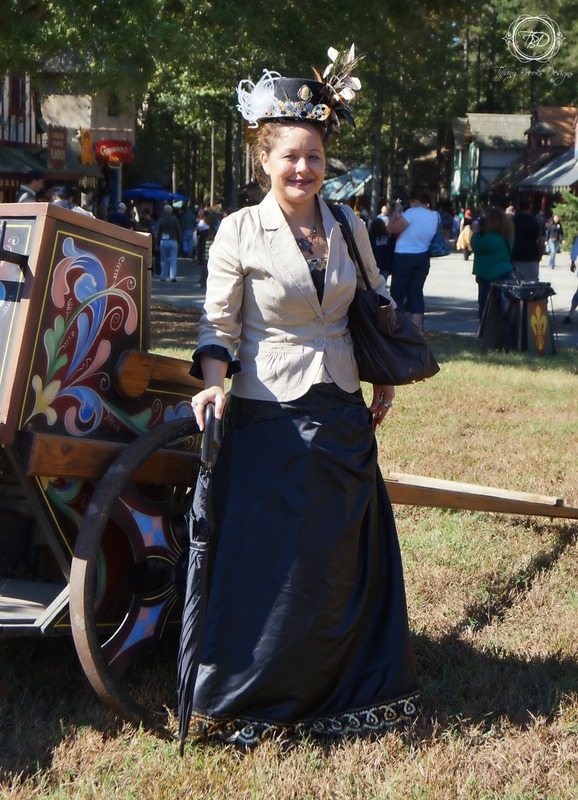 I used McCall’s pattern number M6097 for the bustle. 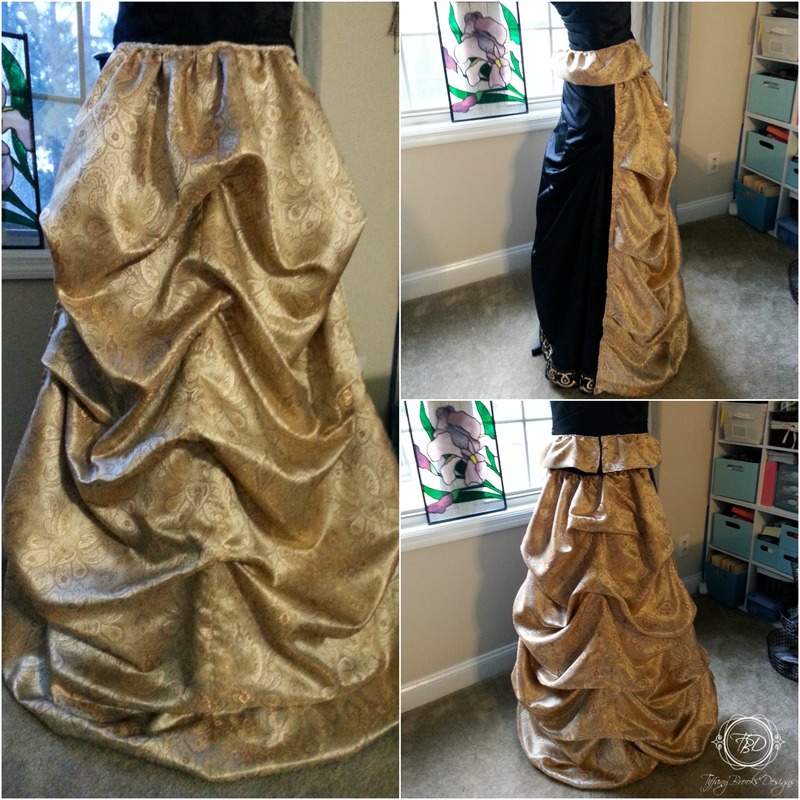 My bustle did not need to be as long as the one in the pattern so I trimmed my bottom layer to my desired size. You really do not need a pattern. Just make sure your top layer is longer than your bottom layer and pull up to make the fabric bunch. I pinned the top layer to the bottom layer until I reached my desired look. Once I was happy I simply tacked the layers together where they were pinned.